Lines conform to body to provide support. Adjustable lumbar helps reduce back strain. Lines conform to your body to provide natural and comfortable support. Curved black mesh back with soft gray upholstered seat. 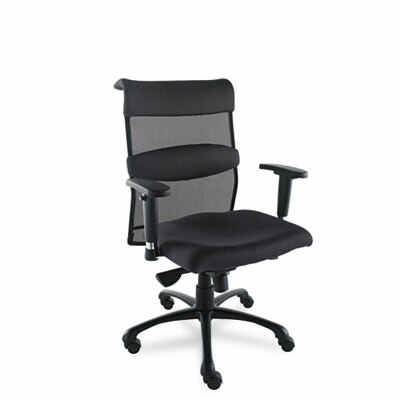 Padded polypropylene T-armrests adjust up, down and side-to-side. Adjustable lumbar support. High-density polyurethane foam seat. Chrome frame. Arm Height From Seat 7 3/4" to 11 1/2"